1) Did everyone get an SCP? Management reports that 2173 members received SCP evaluations. The URA Agreement states that members who are not evaluated must receive the average merit increase. However, Human Resources relies on the supervisors to report if they did not complete a timely evalution. 2) Who was eligible for merit pay? 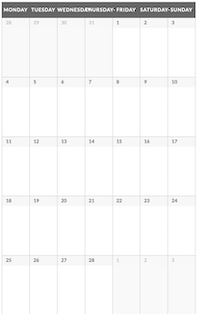 Our January 2012 Settlement Agreement provides for all employees on Rutgers payroll on January 1, 2013 to be eligible. 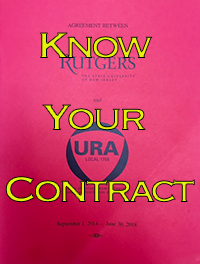 URA has filed a grievance for about 25 members who came into our unit from other Rutgers jobs at the beginning of the year and were treated as ineligible. 3) How many “met standards”? Only 16 received “does not meet standards” this is less than 1 percent. Our unit has grown, and the number who get unsatisfactory rating has actually dropped. 4) Is merit pay fairly distributed among campuses? It is very difficult to separate out members by campus: too many departments work across campuses, for instance, the Business School and the University Libraries. Off‐campus location are hard to identify. It does appear that Camden‐based employees received an average of 2.35%, slightly above average. 6) I was told that I am in a small department and can only get the average merit raise. Or, I can only get 2%. Is this true? It is also a myth that “small departments” cannot provide merit pay. The number of URA members in a department does not have a measurable influence on the distribution of merit pay. Some supervisors believe and spread these myths because they themselves are only given authority over part of the merit pool. But when a Chancellor repeats this, (which happened last year) it’s either a lie or a sad case of ignorance. 7) Do some members have an edge? Do some members have a disadvantage? . Members who work more closely with top administrators are more likely to receive above average awards. This year, the only department able to give the maximum 4% raise to all URA members is based at Old Queens. On the downside, only one URA member in a blue‐collar title received 4%. 8 ) Is it worth the effort for so little merit pay? What do you think? Do you want more merit pay in our next contract? Less? Bonuses? Pass/fail merit pay? Your opinion only makes a difference if you bring it to the bargaining table. Fill out and return the member survey you received in the September URA newsletter.